Long-time resident and volunteer Shirley Ann Brua McGillicuddy passed away at 6:45am. Friday, November 11, at the age of 82. Shirley was born June 9, 1929 in Fargo, North Dakota. She leaves behind a daughter, Kimberly and a brother, Phil. 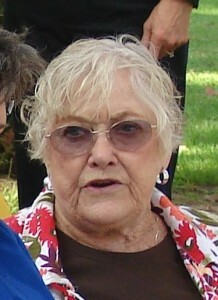 Shirley was very active with several organizations in town for many years, including the Civic Club. She also chaired the Wistaria Festival for several years, including the 1994 vine centennial celebration. There is discussion of a possible memorial for Shirley in January. I have been told that I can expect more information, including a formal obituary at a future date, so please check back.